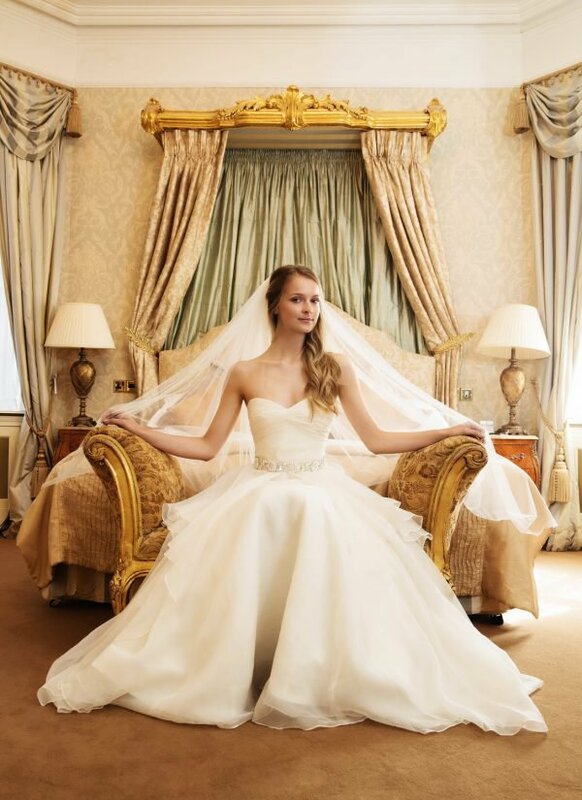 Simply beautiful, the Aoife veil is a touch of luxury and made from extra soft silk tulle. This delicate and romantic scalloped edged wedding veil is handmade using french lace edging on soft Tulle. This perfect wedding veil will frame your wedding gown beautifully. 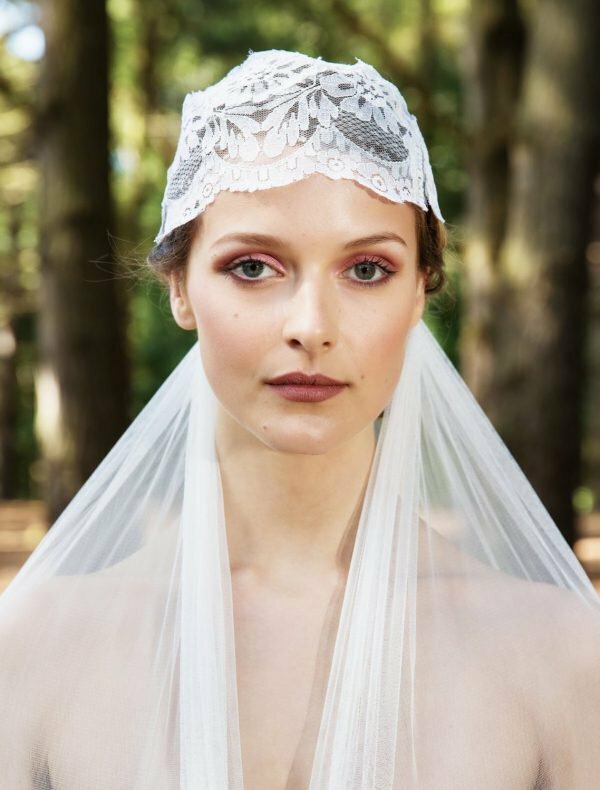 The Tara wedding Veil is a beautiful lace skull cap with a detachable silk veil. This Veil is handmade using the best luxury tulle, sweetheart lace and edged with tiny love hearts. 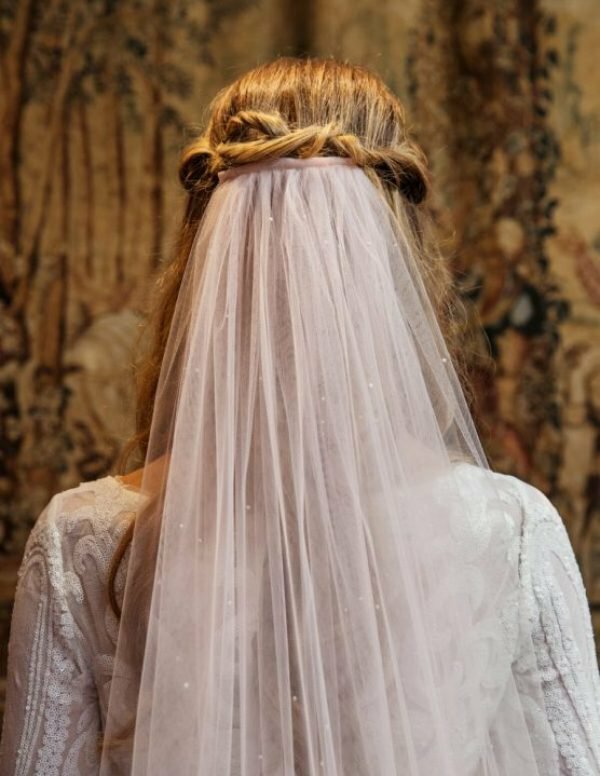 The Caoimhe veil, is a classic wedding Veil made of soft tulle and high quality french corded lace. Making this a timeless addition to your wedding gown. The Niamh Veil is handmade using the finest luxury tulle with beautiful satin ribbon. A beautiful veil, guaranteed to look fabulous on any gown, whether traditional or modern. 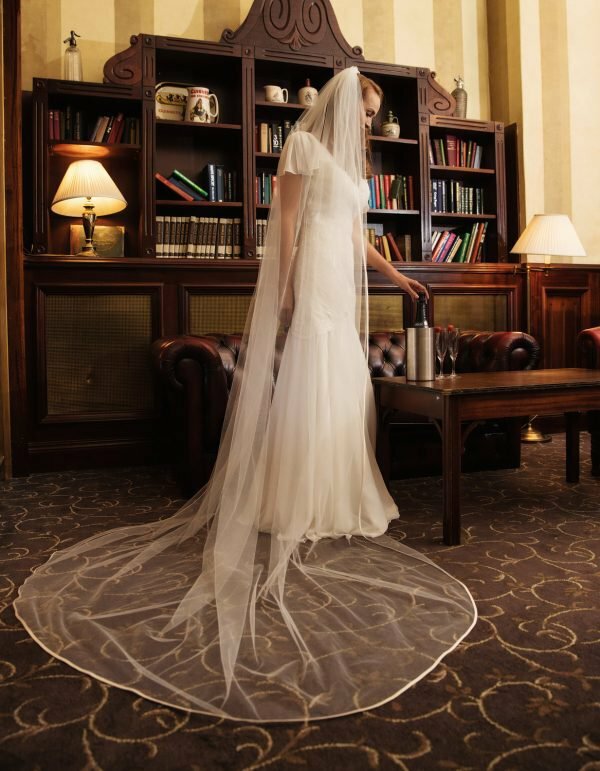 The Siobhan Veil has been designed with the romantic fairy tale in mind. Beautiful silk tulle with beading detail to add luxury. For the bride who wants it all, the Cara wedding Veil is absolute luxury. Individual diamonds, swarovski crystals and beautiful pearls on a single veil. Soft Tulle trimmed with extra wide corded French lace, the ultimate in luxury lace edging. The Roisin veil is made from soft tulle scattered with delicate Organza flowers and genuine Swarovski crystals on the end of the Veil. This delicate and romantic veil edged with over 700 Swarovski crystals. This perfect wedding veil will frame your wedding gown beautifully. The Fiona Veil is handmade using the finest luxury tulle which comes in four colours. 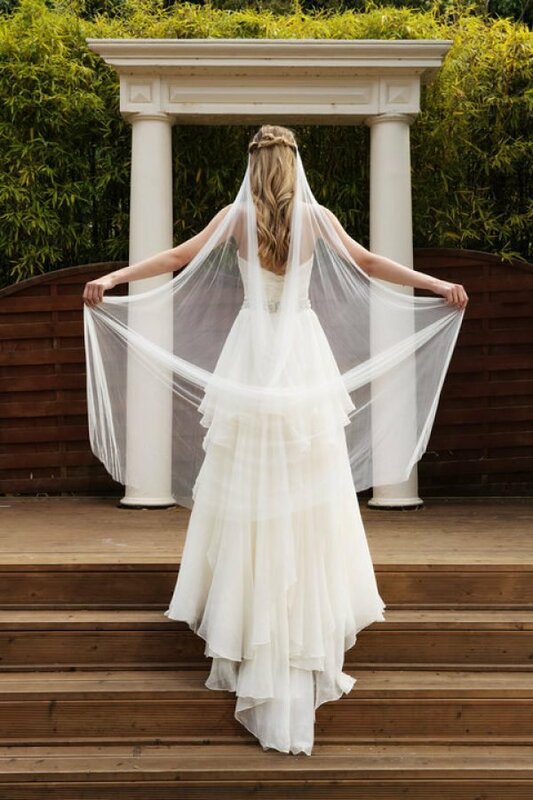 The Orlaigh veil is made with soft tulle scattered with hundreds of Swarovski crystals applied by hand to create a dazzling sparkle to your Veil.